Chemical Constituents and Components : Main chemical constituents are asarone, alpha pinene, beta asarone, calamenol, calamene, calamenone, eugenol, methyl eugenol, calamone, azulene, sugars, glucosides, and flavones. Glycosides: 1. It increases the glutathione (GSH) content and glutathione-S-transferase GST activity in the corpus striatum. 2. It inhibits free radical scavengers and lipid peroxidation. 3. It inhibits the mitogen and antigen stimulated human peripheral blood mononuclear cells thus potentially suppress the immunesystem. 4. It stimulates sodium/potassium pump activity. Saponins: 1. It causes calcium channel blockage due to which it causes potent spasmolytic effect. 2. It promotes reduction of lipid concentrations in the serum. Curing Diseases : 1. It is useful in flatulence, colic, dyspepsia, dysentery, stomach problems and worm affection. 2. It is used in cough, bronchitis, inflammations, otalgia and calculi problems. 3. 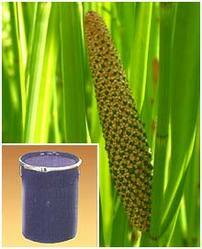 It is used in haemorrhoids, intermittent fever, skin diseases, numbness and general debility. 4. It is also used in convulsions, depression and other mental disorders.